As Intermountain Healthcare's Mc-Kay-Dee Hospital saw an influx of patients with behavioral health needs, it struggled to adequately treat them. In a five-year period, the hospital in Ogden, Utah, experienced a 33% increase in the number of patients it evaluated for a behavioral health crisis from 3,997 assessments in 2012 to 5,325 in 2017. Most of those evaluations were done in the hospital's busy emergency department, where patients could experience long waits before they were seen by a specialist. "EDs are not conducive to patients who are in a crisis and struggling with a mental illness," said Shelly Read, director of behavioral health at McKay-Dee. Worried about how quickly and appropriately it was treating patients, McKay-Dee in April 2017 opened a center specifically for those experiencing a mental health crisis. The Behavioral Health Access Center is located across the street from the hospital's ED and staffed with behavioral health specialists 24/7. It treats patients age 18 and older who need help immediately, said Clint Thurgood, behavioral health consultant services manager at McKay-Dee. "It's a way to streamline services," Thurgood said. "We want these patients to avoid the ED so they can be seen more quickly and be linked up with the appropriate providers." Patients who seek care at the access center are initially assessed by a nurse trained in behavioral health and an ED physician. The doctors provide a typical physical exam to ensure there are no other underlying conditions that need attention. Workflows have been adjusted so ED doctors have the time to see the patients in the access center. And because the center is located so close to the ED, it's easy for the doctors to go from one location to the other, Thurgood said. 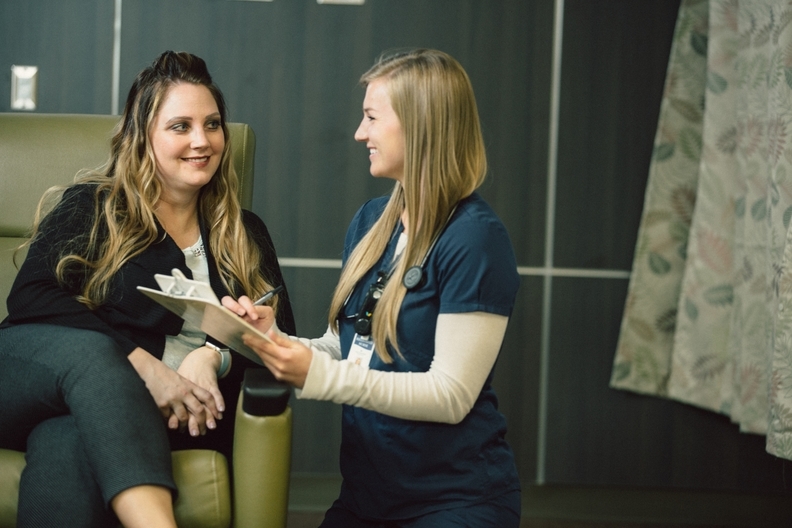 The nurses evaluate the nature of the patients' behavioral health needs and determine the most appropriate services. A psychiatrist is available to provide immediate counseling. Family members are usually present and involved in discussing the patient's symptoms. The nurse may also determine that the patient should be admitted to McKay-Dee's inpatient behavioral health unit. But Thurgood said most of the patients won't need to be admitted to the hospital. Typically, patients are suffering from anxiety, depression or contemplating suicide. Patients who are disruptive, violent or experiencing an overdose will likely be transferred to the ED. The overall experience at the access center is designed to be more calming than the ED, Thurgood said. Staff strive to keep the facility quiet and instead of hospital beds patients sit on couches. Patients also don't need to change out of their clothes and into a hospital gown. "It doesn't look like a traditional ED," Thurgood said. "It's a more calming environment—not a lot of hustle and bustle. There are no TVs." Liaisons trained in social work assist patients with a host of post-visit needs, including coordinating follow-up care. They also have connections with local community behavioral health providers and resources. Cost concerns are discussed as well. The liaisons are trained to help those with no insurance. "The mental health system is really difficult to work through—patient liaisons help them navigate that very difficult system," Read said. The center has decreased the number of patients with behavioral health concerns seen in McKay-Dee's ED. About 50% of behavioral health patients are treated at the center. In March, the facility saw 208 patients while the ED saw about 200. McKay has raised awareness in the community about the center by informing local behavioral health providers and primary-care practices. "It's a lot of word of mouth now," Read said. The center has the added benefit of lower costs for the patient because it's billed as an outpatient service instead of an ED visit, Thurgood said. Additionally, the center has decreased the likelihood that patients will be admitted to the hospital because they are seen quickly by providers with the expertise to identify the patient's immediate needs, he said. Intermountain has now opened two other access centers in its system.